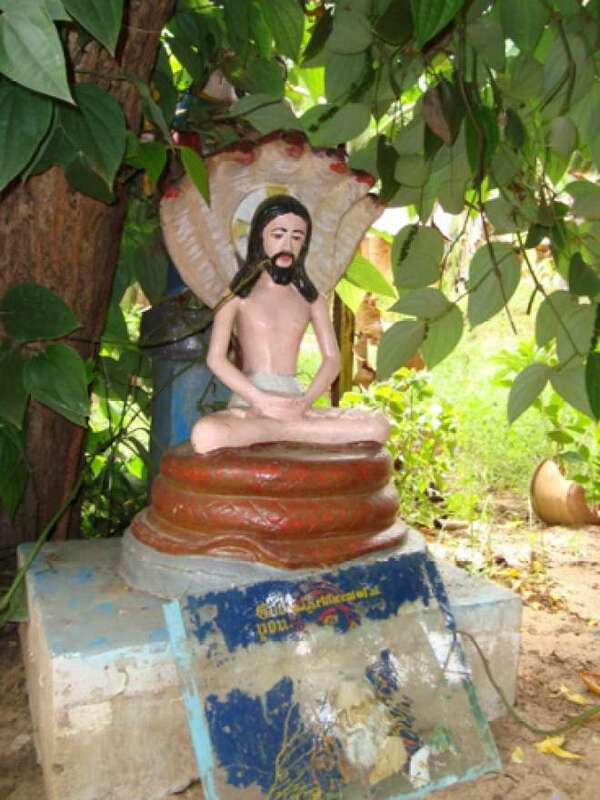 I’m often asked by the people here in India and abroad, “When did Christianity come to India?” “Indian Christianity is about 2,000 years old,” I reply, adding, “Ever since St Thomas, one of Jesus’ beloved disciples, came to India.”  Thus, we have the so-called “St Thomas Christians” —mainly from Kerala—whose ancestors received Jesus’ “Gospel” soon after his resurrection. On July 3, Christians will celebrate the feast of Saint Thomas. The Gospel of John records three utterances of St Thomas that give glimpses of his character. First, when Jesus desires to go to Bethany, bordering Jerusalem, the disciples try to prevent him from going since he was almost stoned there for claiming kinship with God. Thomas, however, sticks by Jesus, and says, “Let’s also go that we may die with him” (John 11:16). This shows Thomas’ courage and his commitment to Jesus. Thomas’ third utterance gives not only him, but also gifts us the appellation “doubting Thomas”. Being no pushover, Thomas asks for “proof” before he believes the unprecedented news of Jesus rising from the dead. But, on meeting the Risen Christ, he exclaims: “My Lord and my God!” (John 20:28). These words are etched in gold over the tomb of St Thomas at the San Thome Cathedral, Chennai: a magnificent 16th-century Gothic church visited by innumerable pilgrims. Two other churches in Chennai commemorate the Apostle: one built in 1523 atop “Saint Thomas Mount” near the airport, and, another big, circular one constructed in 1972 on “Little Mount”. The former contains the “Bleeding Cross”, believed to have been sculpted on stone by St Thomas, while the latter rests beside the cave where the Apostle prayed. There is no historical evidence to support the legend that St Thomas, called Judas Thomas in the Acts of Thomas, ever came to India. And when we say there is no historical evidence in Western literature, we say emphatically that there is no evidence for St Thomas or Indian Christianity in ancient Tamil literature either. Even up to the tenth century and Raja Raja Chola’s time, Tamil literature has no record of Christians or Christianity being present in the land. Bardesanes story is centred on the moral imperative that all Christians must lead a chaste and celibate life. In the story he has Judas Thomas, who is presented as a look-alike twin brother of Jesus, persuade a newly married royal couple not to consummate their marriage. This angers the Parthian king of the desert land where Thomas is present and he has to flee for his life to another part of the country. Here he comes into contact with another Parthian king called Gundaphorus—possibly a first century king of Gandhara i.e. North-West Pakistan—and promises to build him a palace. Thomas cheats the king of his money but succeeds in converting him to Christianity. He then leaves Gundaphorus and concerns himself with a talking donkey and a dragon who claims to be Satan. Thomas slays the dragon, but because of his interest in converting the women and girls of the area to Christianity and alienating them from family life, is called before a third Parthian king called Mazdai—Mazdai being a Zoroastrian name after the Zoroastrian deity Ahura Mazda—and ordered to leave the country. When Thomas ignores the king’s warning and converts the queen and her son, the king in exasperation at the apostle’s evil deeds orders him executed. He is then speared to death by soldiers on a royal acropolis and the body shortly afterward taken away to Edessa. In all records Thomas is executed on the Parthian royal acropolis and soon after buried at Edessa where a cult grows up around his tomb—until Marco Polo in his famous travel book puts his tomb on the seashore in an unnamed little town in South India. Marco, who never came to India, was repeating the stories told to him by Muslim and Syrian Christian merchants he met in Constantinople. This is how St Thomas got to South India. The Portuguese who knew Marco’s popular book Il Milione decided quite arbitrarily that Mylapore was the unnamed little town Marco was referring to —and Mylapore also had a good harbour and a great heathen temple that could be turned into a Christian apostle’s tomb. As they say, the rest is history—and a falsified history at that! Thomas was Jesus’s twin brother, implying that the four canonical Gospels are unreliable sources which have concealed a crucial fact, viz. that Jesus was not God’s Only Begotten Son. In fact, Jesus and Thomas were God’s twin-born sons. In other words, accepting the Thomas legend as history is equivalent to exploding the doctrinal foundation of Christianity. Enough said about Judas Didymus Thomas. About San Thome Cathedral which houses his fake tomb—the real tomb for St. Thomas is at Ortona, Italy—it has been established by reputed Jesuit and Indian archaeologists that the church stands on the ruins of the original Kapaleeswara Shiva Temple destroyed by the Portuguese in the sixteenth century. So do the churches at Little Mount and Big Mount stand on ruined Murugan and Shiva temples respectively. The “Bleeding Cross” Fr Francis refers to and which is kept in the Portuguese church on Big Mount, has these words carved around the edge of it in Pahlavi script: “My lord Christ, have mercy upon Afras, son of Chaharbukht the Syrian, who cut this.” The cross is dated by experts to the eighth or ninth century. Apostle Thomas was a Jew and the Roman cross would have been a most abhorrent symbol to him. Certainly he did not bring a cross—or a Bible for that matter; there was no Bible in the first century—to India. Christians did not use the Roman cross as a religious symbol until the third century or later. They used a fish sign with the Greek word ΙΧΘΥC (ikhthus meaning “fish”)—an acronym for JESUS—inscribed in its body to identify themselves and their cult. Curiously Indian Christianity has never referenced or employed a fish symbol in its religious culture. This is because there were no Christians in India before the fourth century. The cross and Bible were brought later by Syrian Christian refugees after the fourth century. The Archbishop of Madras-Mylapore, who may be an honest man unlike his predecessors, also must stop perpetuating the claim that Tiruvalluvar was a disciple of Thomas and a Christian convert. Tiruvalluvar lived a hundred years before Christ and anybody who has read the Tirukurral can see that this claim is a malicious falsehood. The St Thomas legend is now part of Indian history and Indian history must be told according to the known facts, not according to the fabricated anti-national theories of Indian Jesuits and Marxist historians. Even Pope Benedict has denied that St. Thomas came to South India—never mind that his editors changed his statement the next day to include South India because Kerala’s bishops had threatened secession or worse if the Church did not support their dearly held tale of origins. What a sad observation on Indian Christians who have access to the best education and health care in the country. And what a shrewd observation on Indian bishops who are probably the most wealthy, corrupt, and politically astute caste living in India today. » Francis Gonsalves teaches systematic theology at Jnana-Deepa Vidyapeeth, Pune. » Ishwar Sharan is the author of The Myth of Saint Thomas and the Mylapore Shiva Temple, Voice of India, New Delhi. 2. Thomas of Cana, also known as Knai Thoma, led the first group of 72 Syrian Christian families to India in 345 CE. There is no record of Christian communities in India prior to this date. Thomas of Cana and his companion Bishop Joseph of Edessa also brought with them the tradition of St Thomas the Apostle of the East. Later, Christian communities in Kerala would identify Knai Thoma with Mar Thoma—Thomas of Cana with Thomas the Apostle—and claim St Thomas had arrived in Kerala in AD 52 and established the first Christian church at Musiris—the ancient port near present day Kodungallur—the main trading center of the day. The Rev Dr G. Milne Rae of the Madras Christian College, in The Syrian Church in India, did not allow that St Thomas came further east than Afghanistan (Gandhara). He told the Syrian Christians that they reasoned fallaciously about their identity and wove a fictitious story of their origin. Their claim that they were called “St Thomas” Christians from the 1st century was also false. Syrian Christians were called Nasranis (from Nazarean) or Nestorians (by Europeans) up to the 14th century. Bishop Giovanni dei Marignolli the Franciscan papal legate in Quilon invented the appellation “St Thomas Christians” in 1348 to distinguish his Syrian Christian converts from the low-caste Hindu converts in his congregation. 3. The oriental ubiquity of St Thomas’s apostolate is explained by the fact that the geographical term “India” included, apart from the subcontinent of this name, the lands washed by the Indian Ocean as far as the China Sea in the east and the Arabian peninsula, Ethiopia, and the African coast in the west. In the Acts of Thomas, the original key text to identify St Thomas with India (which all other India references follow), historians agree that the term India refers to Parthia (Persia) and Gandhara (Pakistan). The city of Andrapolis named in the Acts, where Judas Thomas and Abbanes landed in India, has been identified as Sandaruck (one of the ancient Alexandrias) in Balochistan. So Marco’s reference is to a town on the Gulf of Mannar and not Mylapore at all!